In the several months since I last blogged, I gave birth to a perfect baby boy, quit my job of 5.5 years, and started a new job working with my sister. But let’s talk about what all you stalkers really care about…House Hunters. 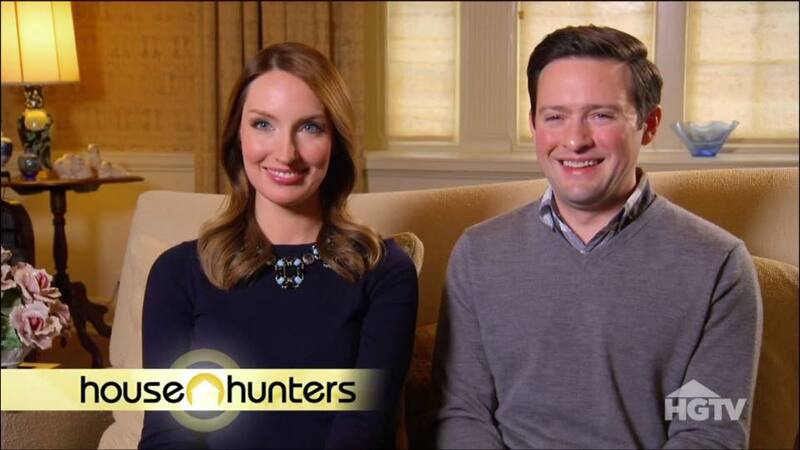 This past week, Eric and I were featured on an episode of HGTV’s House Hunters with our amazing realtor, Sara Hopkins. I can’t discuss much of filming because we are under an NDA and I don’t want to get sued by HGTV, but I can tell you about our reaction to seeing the end result. Eric and I filmed the show back in January, so we have been incredibly nervous and anxious for months to see the final edit of the show. We had no idea how we would be portrayed, if our humor would come across, or if it would be the most boring episode ever. 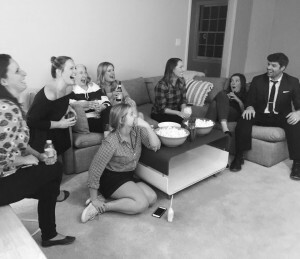 To say that we were absolutely terrified of watching the show would be an understatement. I was afraid that I would come off as a spoiled brat and Eric was afraid he would come off as a push over. But let’s be honest. I’m kind of a spoiled brat and Eric can be a push over. So we knew what was coming. The premiere date finally came last Thursday and we invited everyone to our house that had been apart of the show for a viewing party. Before the show started, I was ready. I was ready for fame to ascend upon me the way I always knew it should. Side note: I’m still pissed at my parents for not making me a child star years ago. I could have been best friends with the Olsen twins, MOM. But instead, I had to wait for HGTV to discover me and realize my true stardom. Rude. And then the moment was finally here. The episode started and immediately within the first 5 seconds of the show airing, they showed me saying, “I’m pregnant. I get what I want.” with an evil smile. So it was official. I would be portrayed as the spoiled brat. And honestly, I wasn’t mad about it. I am fully aware that I am spoiled (in the loveable kind of way where I am very appreciative of everyone who does spoil me) and I can definitely be a brat (in the lovable kind of way…right?!). I can own that and laugh at myself because I know that 99% of the things that come out of my mouth are a joke/semiserious. I could try to blame editing for the way I was portrayed, but I don’t think that is fair because the producers are only editing the things we actually said and did. 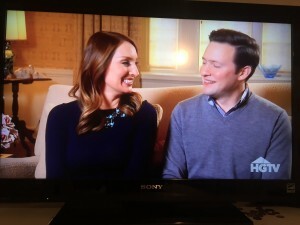 HGTV didn’t feed me the line, “I’m pregnant, I get what I want.” I truly said it off camera as a joke/semiserious and we decided to go with it. But like, seriously, I was growing a HUMAN INSIDE MY BODY. I should get what I want! I have to admit that it is scary to have millions of people watch us on TV because we can’t control everyone else’s reaction to our episode. If I could control people’s reactions, I’d like people to think that I was 1) thin 2) funny 3) beautiful 4) stylish and 5) you know…all that other important stuff like being a good mother, good wife, nice, kind, blah blah blah. Basically, I just wanted people to think I was gorgeous and hilarious. I wasn’t as worried about Eric’s portrayal because there is really only one way to portray him: sweet, kind, and loving. Which is accurate. Damn nice people. They always get off so easy. I have decided to not read any of the comments online about our show because the only people’s opinions that I care about are from the people who actually know me. I can certainly see how some people would take my comments as serious and find me unlikeable or Eric’s niceness as being a pushover, so I’m just going to sit in my own ignorant bliss and protect my fragile ego from the haters. In the end, I am happy with the episode. 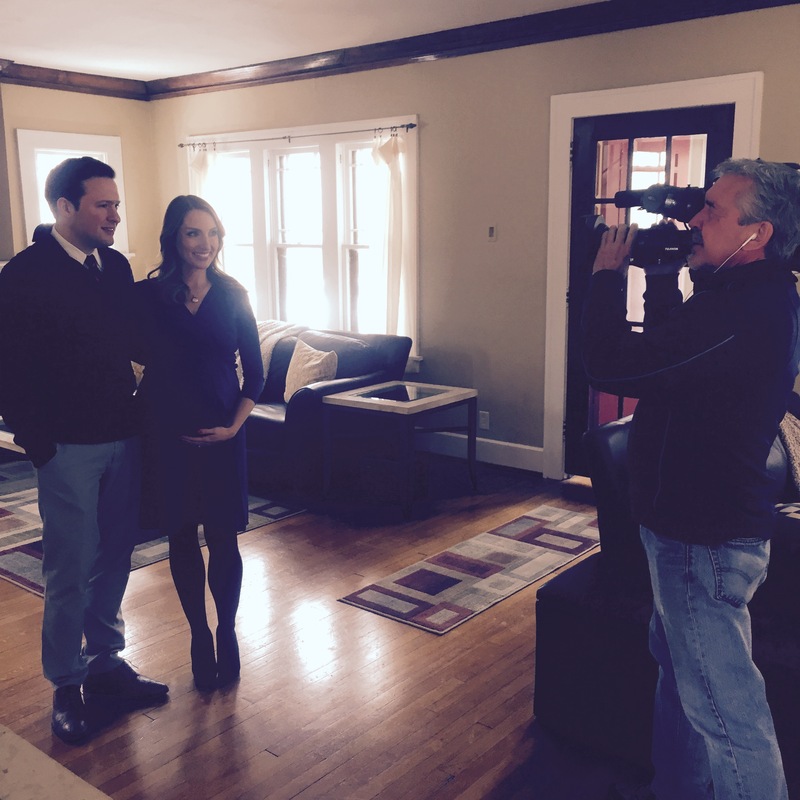 I think it made Des Moines look good, I think it was great press for our realtor, and Eric and I both agree it could have been a lot worse. It captured a moment in time that I want to remember forever and it made us laugh hysterically the entire episode. The best part of the whole experience was after the episode aired, Eric looked at me with that spark in his eyes (you know, the dirty spark that resulted in us having 2 babies) and he told me that watching me on the show reminded him of all the things he loves about me. And that’s the only reaction I want to take with me from this whole experience. Plus, my makeup and wardrobe choices were ON POINT and that’s the only thing that really matters anyway.